You’ll find year round surfing here, and even if you never grab a board, you can view of some of the local dudes riding the waves alongside the Huntington Beach Pier. From the pier, it’s just a short walk to Main Street’s surf shops and restaurants, many with sidewalk tables or decks that let you bask in fresh ocean breezes and sun-soaked afternoons. For a list of all the great Southern California beaches go here. Continue to read and Visit Huntington Beach CA! 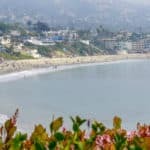 You can also view all the best southern California beaches here. 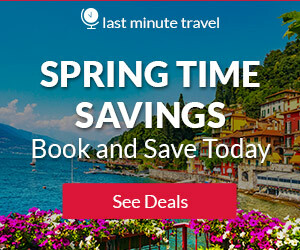 The best tine to visit is during the late spring when temperatures are still warm but accommodations are much cheaper. During this period, the cost of a hotel room is $140/night on average. Save 40% per day compared to what you would have paid in June. Temperatures hover in the mid 60s, just a bit cooler than the average 70°F you would experience during high season. The Bolsa Chica Ecological Reserve is an approximately 1,300 acre coastal estuary. Habitats include open water, mudflats, salt marsh, coastal dunes, seabird nesting islands, riparian, and freshwater marsh. More than 200 avian species have been identified at Bolsa Chica and the reserve is very popular with birders and photographers. 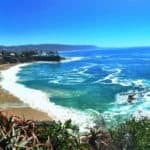 A leisurely stroll offers stunning panoramic views of Catalina Island, Newport Beach to the south, and Long Beach and San Pedro to the north; aerial scenes of the surf action; and, of course, photo ops. Huntington in a great place to surf, swim, sunbathe, fish or just watch the sun set. There are volleyball courts, basketball courts, fire-rings for bonfires and a multi-use trail. A paved beachside trail runs for 8.5 miles between Huntington and Bolsa Chica State Beaches, with the 3.5-mile Huntington City Beach wedged between them. Bolsa Chica is known for its outdoor activities that include surfing some of the perfect barrels formed by the large waves here. For something a little more laid back, you can enjoy fishing here as well as bird watching. There are picnic areas dotted all over Bolsa Chica and if you are looking for a way to take in the local scenery, then you can go for a walk on the purpose built trail that runs along the beach and stretches for over eight miles. Huntington Harbour lies at one end of Huntington Beach and is known for its cluster of five individual islands. Between the islands and the harbor itself you will find serene waterways that lead to a vibrant area of beachfront. You will find shopping and dining options, and you can charter a private boat that will take you on a scenic trip around the canals. 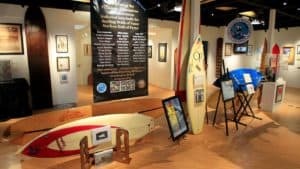 Anyone who is a surfing aficionado should not miss the International Surfing Museum on a trip to Huntington Beach and even if you are a novice surfer, this is still a great place to learn all about this great sport. The best cut of the best fish. Fresh out of the ocean, expertly prepared. Getting that taste while eating healthy is what inspired Bear Flag in the first place. It used to happen on the back of a boat. Now Bear Flag Fish Co. brings it to you at Lot 579 in Pacific City. Telephone: 714-673-3474 Web: Bear Flag Fish Co. Relax and unwind or play and chase thrills, all without ever leaving the resort. Spend the day at one of our two sparkling pools with a waterslide* and hot tub or on the sand and surf. Make the most of your time in the sun with a cabana and beach butler service or a beach bonfire when the sun sets. Feed your sense of adventure on a boogie board or tandem bike. Pamper yourself with a blissful array of signature treatments at Drift a Waterfront Spa. For more information, pricing or to reserve your room visit The Waterfront Beach Resort, A Hilton Hotel. 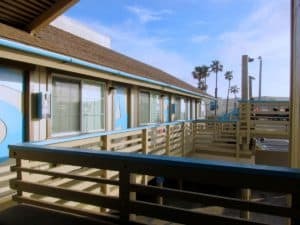 Huntington Surf Inn continues that one-of-a-kind experience by featuring nine luxurious and charming rooms with different themes that depict the beach and surfing heritage of Southern California. Each room is air-conditioned and includes a microwave and a refrigerator to keep beverages cold. To further enhance your stay, we also offer complimentary high-speed Wi-Fi, on-site parking, local telephone service, and large flat-screen TVs with high-definition cable. Feel free to leave your beach towels and Frisbees at home; we have all of the beach items you need at our hotel. For more information, pricing or to reserve your room visit the Huntington Surf Inn. Retreat to one of 517 coastal chic rooms and upscale suites overlooking Huntington Beach. Enjoy contemporary oceanfront lodging with balconies or a deluxe room with a private firepit on a furnished patio. Upgrade to a Regency Club room for lounge access with daily breakfast and refreshments or stay in a sprawling beach house-style suite with impressive views of the Pacific. For more information, pricing or to reserve your room visit the Hyatt Regency Huntington Beach Resort & Spa. 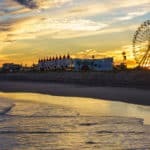 At this hotel, you will be situated just steps from the hottest sand in Surf City, USA, as well as at the epicenter of the Main Street scene. Inside the property, a relaxed, coastal vibe is created through spirited interior design, an open-air patio with cozy fire pits, elevated beach-chic dining and spacious, airy accommodations — many offering views of the Huntington Beach Pier Welcome to the most beloved resort in Huntington Beach — paradise found. 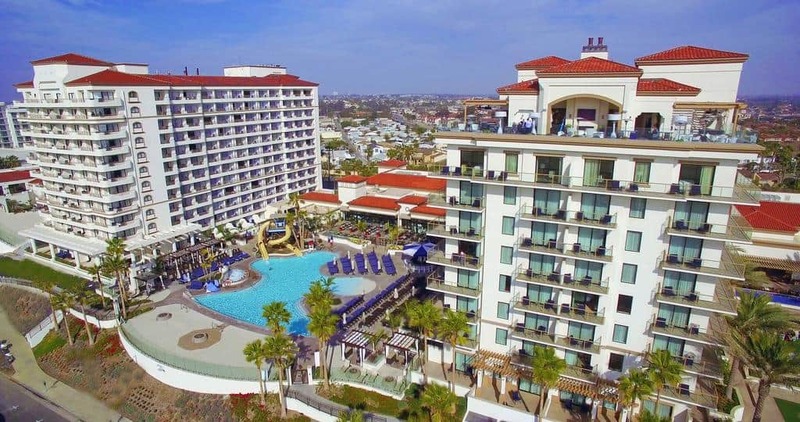 For more information, pricing or to reserve your room visit the Kimpton Shorebreak Huntington Beach Resort. 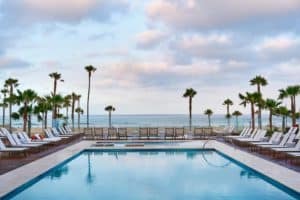 Adjacent to the Huntington Beach Pier, Paséa Hotel & Spa features a spa center and watersports facilities. Offering free WiFi, each air-conditioned room at Pasea Hotel & Spa has an ocean view. Rooms feature a flat-screen TV and a coffee machine. For your comfort, you will find guest bath robes and slippers. Guests can hire beach cruising bicycles. A range of activities are offered in the area, such as windsurfing and hiking. There is also a spa and a gift shop at the property. For more information, pricing or to reserve your room visit the Pasea Hotel & Spa. Huntington Beach was my “hangout beach” when I was in high school. It was the most accessible to my friends and me from our inland location, so that’s where we’d all meet up. I experienced far too many Huntington Beach sunburns, that’s for sure (remember that sunscreen everyone!!)! When I lived in Florida, the local Hollister store had a large-screen TV on one wall that showed a live feed of Huntington Beach. I never minded waiting for my daughter when she wanted to shop and try on a bunch of clothes there as I got to take a “trip down memory lane” while I waited. I hope I’ll get to visit again one of these days. I’ll definitely be sure to remember my sunscreen! I am curious where in Florida you lived that showed a feed for California LOL I live in Florida and where I am at we definitely do not have live feeds from California. Seems like they would want to promote their own state LOL Sounds like you had a wonderful childhood! Thanks for stopping by! Thanks for writing out this lovely article and I must say its a must for everyone to read and digest.Beach travelling is always fun. I will be visiting Huntington Beach with my wife along side with the beach bag for maximum satisfaction. Features on Huntington Beach got all of my interest a bn out planning a visit to the beach. 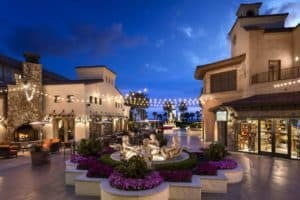 For someone out of the country, since need visa to visit the Huntington Beach? thanks for the review. Hi, you can go to the US Visa information page to find out exactly what you will need. Some countries are different. So I don’t want to give you false information. Thanks for visiting my Huntington Beach CA travel guide. I lived in California for several years, and Huntington Beach was one of our favorite destinations. My office had a volleyball team, and we played there against one of the insurance companies we worked with. It was an absolute blast, and one of the best times of my life. I highly recommend it. I do too Babsie! Sounds like you had some great experiences in Huntington Beach! Just curious, and I’m not sure if you know the answer, but it’s about the beaches in this part of CA. Are many of them open 24 hours a day? I’ve actually been to a few that close at dusk, and my family likes to hang out and relax well into the night. There’s nothing like dark, shimmering waters that reflect the moonlight and a cool evening breeze against your face. Yes, Buck there are some beaches that are open 24 hours in this area. They are: Santa Monica Beach, Redondo Beach, Ocean Beach, and Coronado Beach 🙂 I agree, I love going for a dip after the moon is out! Thanks for stopping by! Good writeup and wonderful topic. The Admin did a great job in putting this together especially figuring out what to pack for the beach, I have actually been a victim of similar circumstances once when I forgot to pack some certain items for my husband and kids, half way there I thought I could get it when we get to the destination, to my surprise, we could locate a single store that sells them. Great Fasuan, glad you enjoyed! Thanks for stopping by beach travel destinations. 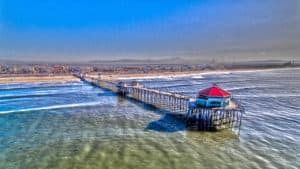 Looking at Huntington Beach CA and things you write about it, it looks like a really a good place to spend time with my family,and am sure the kids are going to like it, especially the museum. I also am looking forward to visiting Huntington Harbour. I have a fascination with boats, and it looks amazing to me. Thanks for all the great information. Looking forward to a vacation in Huntington Beach! It is a great family beach vacation! There are definitely things for the whole family to enjoy. Please let me know if you need any additional information. Glad you enjoyed Chris and I hope you can visit Huntington Beach CA soon! Thank you for this review that presented one of the best and beautiful places in the world. I love beaches but I have never gone to the best ones like this. I hope I can have the opportunity to travel the world someday and will see with my eyes Huntington Beach. It’s one of my dreams in life to see other race of the people, in their own country, and if God permits, California is one of them. You will enjoy California…its a destination all in it’s own and definitely a bucket list item. I hope you can visit Huntington Beach CA some day soon! I see a lot of you guys are amazed to how beautiful Huntington Beach is. Yes, it’s true, this a perfect destination especially during summer. The wide space in the sands is ideal for outdoor sports like volleyball. And also, sun bathing! But don’t forget to bring with you some sunscreen protective lotion, as mentioned in the article’s packing list. Think about your health especially preventing skin cancer while enjoying the sun. I agree Gomer, gotta have the sunscreen! Thanks for visiting Beach Travel Destinations. Huntington Beach sounds wonderful, another place to add to my visit list. 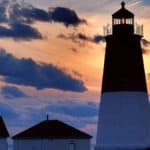 This article is so informative and interesting, it clearly states everything you need to know in order to make a decision about your vacation destination. It offers good descriptions of several restaurants, hotels and attractions. The choice of photos makes it look completely enticing. I’ve bookmarked this for future reference. Okay this one might not be on my list, but definitely head to LSXO for dinner when in Huntington Beach. 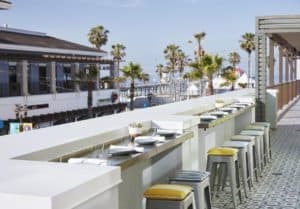 Dishes range from more traditional to innovative among a stunning hideaway overlooking the Huntington Beach pier. A perfect destination for every surfer and every wannabe surfer like myself. The Surfriders Academy is a must do when I get here! Surfing is something I’ve always wanted to try but didn’t know who could teach me at least the basics Thank you Leahrae! 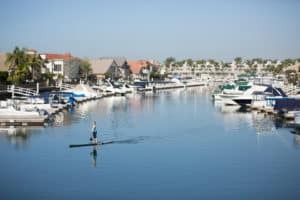 Loved this very useful posts, everything I need to know is here from what to pack, where to stay and what I can do at Huntingdon beach, i would love to go there one day, you know how to make it look like a really desirable place to be and am sure it is! Glad you enjoyed Ann. You will have to visit Huntington Beach CA soon!